This Saturday, January 31, 2015 there is free admission to many of the museums throughout the city as part of the 10th Annual Museums Free-for-all program. Right now LACMA is showing paintings from the Hudson Valley River School, Haunted Screens: German Cinema in the 1920s, and Samurai: Japanese Armor, which will close Sunday. Right next door is the USC Pacific Asia Museum. Current exhibits are Insight: The Path of Bodhidharma and A New Way Forward: Japanese Hanga of the 20th Century.The two museums are located in the heart of Little Tokyo, making for a nice day trip, including ramen from Daikokuyu. It also may be your last chance to see Andy Warhol: Shadows at MOCA, which closes February 15th. While you are there, check out Printed Matter’s LA Art Book Fair at the Geffen Contemporary at MOCA, which opens tomorrow. Try Viet Pham’s buzzed-about seasonal menu at Rays & Starks, Or drive a few blocks up Wilshire to visit the Page Museum at the La Brea Tar Pits. It is also a good time to check out museums you have never visited before. One of LA’s newest museums is the California African American Museum (CAAM). They will be presenting a workshop on painting with sugar on cotton fabric. The Museum of Latin American Art in Long Beach has over 1,600 fine artworks. There are countless other fantastic exhibits. Find a list of every museum participating after the jump. 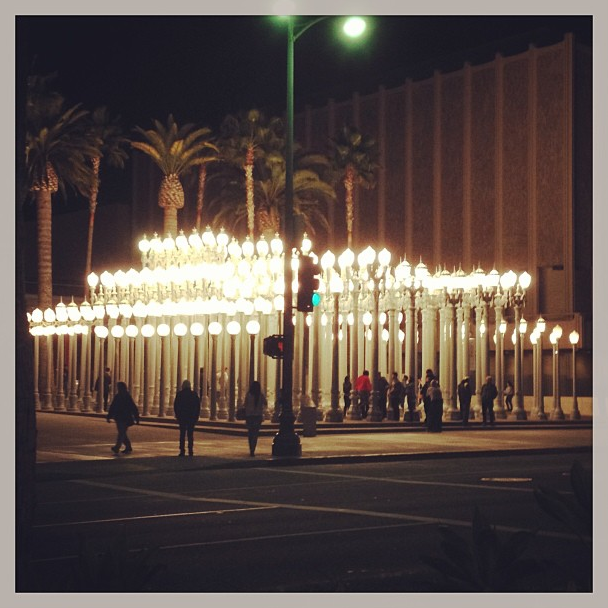 For locations and directions, check out the Los Angeles Museum Interactive Map. Standard Parking fees, if any, will continue to apply. Elise Thompson contributed to this post. This entry was posted in Art, Books, Food, Upcoming Events. Bookmark the permalink.